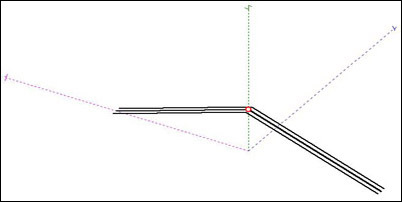 This article describes the design and simulation of a Codan C463 multiwire broadband dipole, using the software MMANA-GAL. The simulations does not include the loads and thus are focused to obtain the approximate radiation patterns of the antenna in several frequencies in the HF band. Remarks: antenna on the ground with 5 m mast. Loads not simulated. Fig.1. Codan C463 antenna model in MMANA-GAL. The C463 is a wideband multiwire dipole (3 wires), suitable for ALE, with balun and loads whose value are not publicly available. It can be installed horizontally (better for DX) or as inverted vee (better for NVIS). This section shows the results of the simulation of the antenna with MMANA-GAL, in what concerns the radiation patterns at several frequencies of interest. Fig.2. 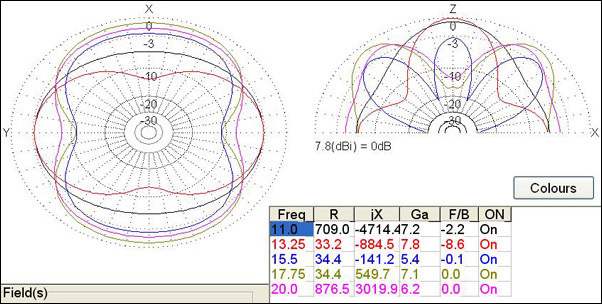 Radiation patterns at 2, 4, 6, 8 and 10 MHz. Fig.3. Radiation patterns at 11, 13.25, 15.5, 17.75 and 20 MHz. 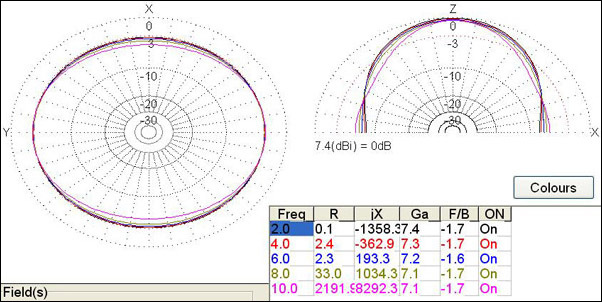 Omnidirectional behaviour and suitable for NVIS up to 10 MHz, with 7,5 dBi of maximum gain. 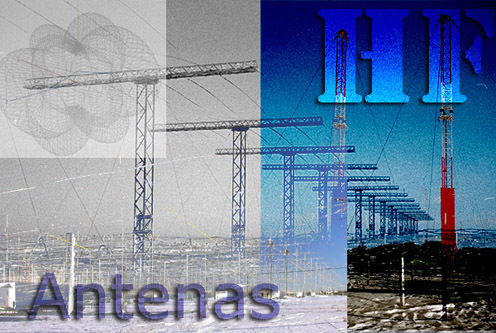 At frequencies higher than 10 MHz the radiation patterns are not uniform and strongly frequency-dependant, so the horizontal configuration is recommended for DX.